Nilkamal brings to you a beautiful melamine masterpiece especially designed with so many colours which is perfect for children’s use. The Laura princess mug has a capacity of 280 ml with about 88 mm depth. It is creatively designed with the face of various Disney princesses which is clearly very attractive for children especially girl children. It is of a considerable size since it comes in the large size range. It is multicolored with different designs that is absolutely pretty to even hold. The handle of the mug is in a very interesting angle that doesn’t prove to be too difficult to hold and drink out of. 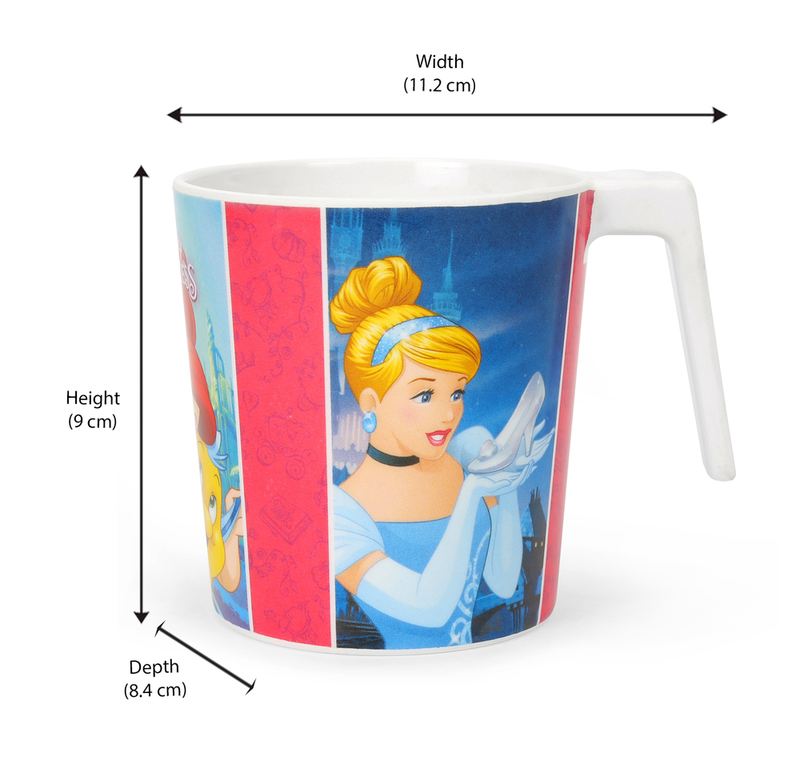 The Laura Princess mug is perfect for houses with children. They can be used at parties for their birthdays or used to make them drink healthy drinks out of. This melamine masterpiece is only available in the exclusive range of Laura mugs from @Home by Nilkamal. Don’t miss out on any offers! Hurry!